For all those beautiful swaying palms, powdery-sand beaches and turquoise waters typical of a Caribbean vacation, let’s face it — the hotel water park still reigns supreme with kids. 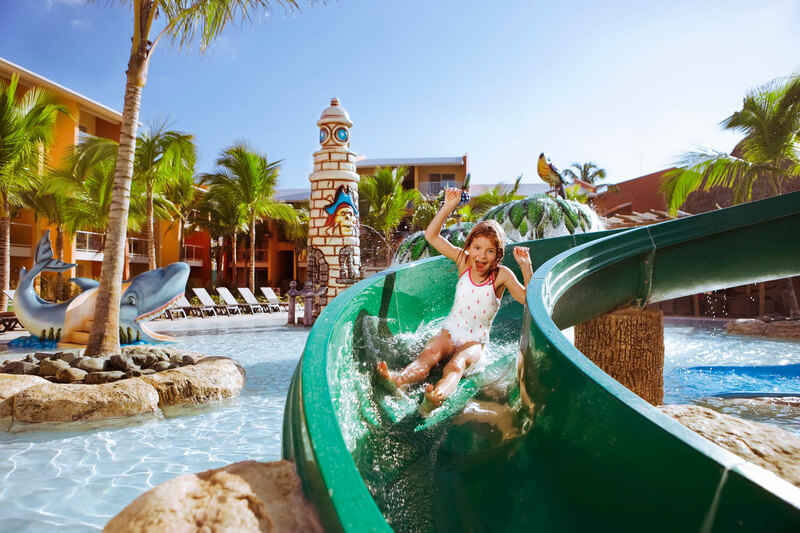 We’ve taken the guesswork out of your Punta Cana family vacation by narrowing down the best all-inclusive hotels that wrap an onsite water park into the fun. These are the best Punta Cana all inclusive resorts with water parks. With excellent and included kids’ clubs, reliably good food and a European-approach to good times, Club Med has made a science out of perfecting the family vacation. At the beachfront Club Med Punta Cana, the kids’ clubs offer access to and regularly scheduled play-time at a dedicated kids’ water park area. The water park has slides and sprayers and a broad, shallow pool where youngsters can splash under watchful eyes to their hearts’ content. There’s no getting bored at this sprawling, 765-room, all-inclusive resort that fronts a beautiful beach in Punta Cana. But the highlight for kids will surely be the property’s over-the-top water park and kids’ pool. The Grand Bahia Principe Punta Cana offers Bahia Scouts Water Park Oasis, complete with multiple slides that range from wide to winding; a rope bridge; and palm tree splash fountains surrounding a huge, shallow pool from which parents can watch and wade. 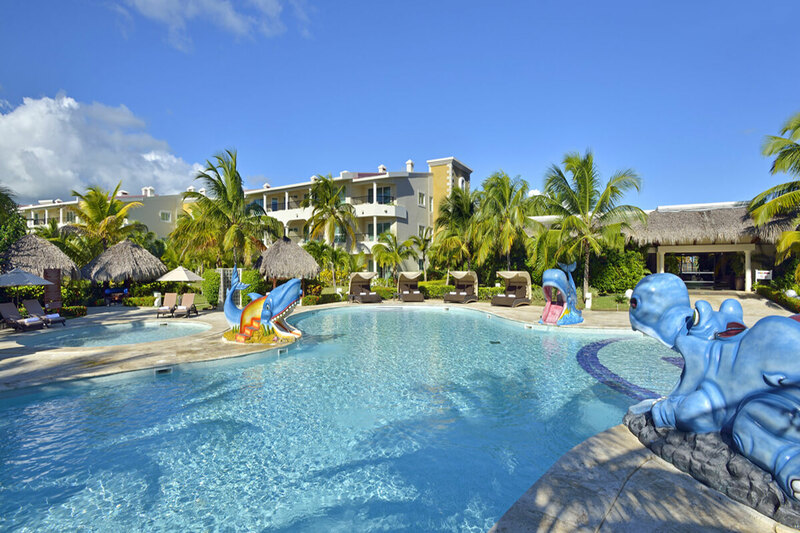 Set on a beautiful stretch of Playa Bavaro, this all inclusive Punta Cana resort lures families with a slew of amenities, among the most notable of which is the inclusive kids’ club (called the Mini Club), available for kids between the ages of 1 and 12. 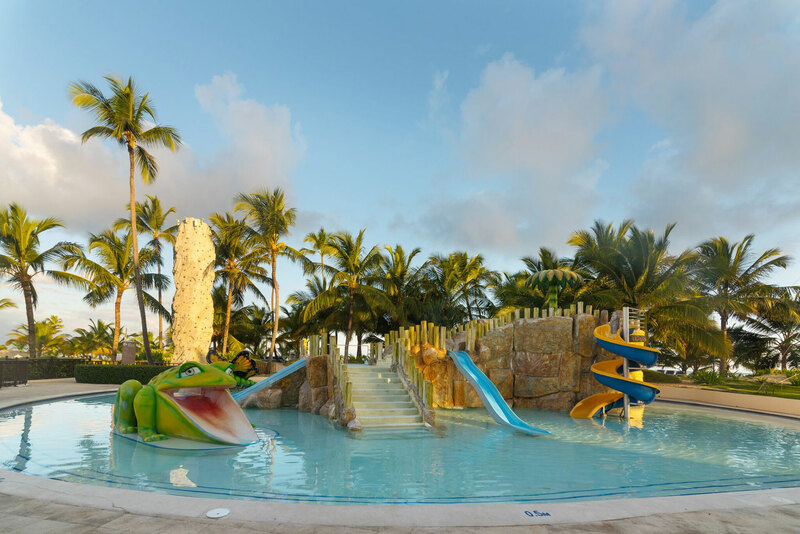 One of the places the little ones will spend a lot of time — whether they’re in the kids’ club or not — is the Paradisus Punta Cana Resort‘s dedicated kids’ pool, a shallow place that’s lined with fun animal features that splash forth water. Fronting a flawless stretch of beach in Punta Cana, the Barcelo Bavaro Palace is part of the greater Barcelo Bavaro Grand Resort and has access to nearly any amenity you can think of, from scuba diving facilities and a casino to four onsite pools. And among those pools, we can tell you where your kids are most likely to be hanging their swimming caps. 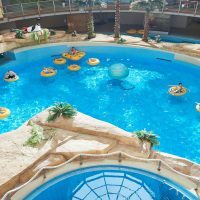 Castles, waterslides and waterfalls are among the fun at the hotel’s Barcy Water Park. And the Pirate’s Island Water Park, with more slides, water features, and a wave pool, can be accessed for an additional fee, too. Three Majestic resorts — the Majestic Elegance, Majestic Colonial and Majestic Mirage — share the fun pirate-themed kids’ water park that’s part of the Splash Kids Club. 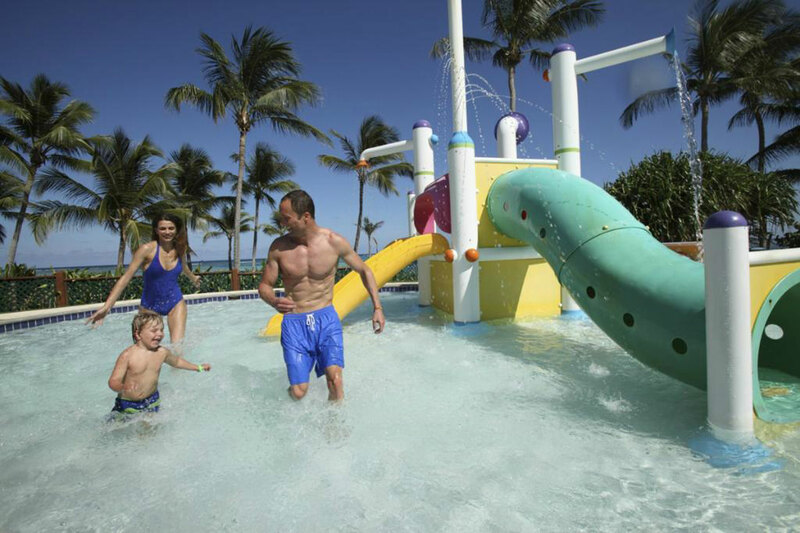 Designed for kids between the ages of 4 and 14, the large water park is designed to replicate a fishing harbor, complete with a fortress, lighthouse, docks and taverns at Majestic Elegance Punta Cana. There are several twisting slides to ride, as well as a large shallow pool at the base of it all. Seven ridiculously fun waterslides, splash pads, and a wave pool are just the start of the fun at Grand Memories Splash, which will debut on Nov. 16, 2018. (The resort — formerly the Memories Splash Punta Cana — is currently closed for renovations.) 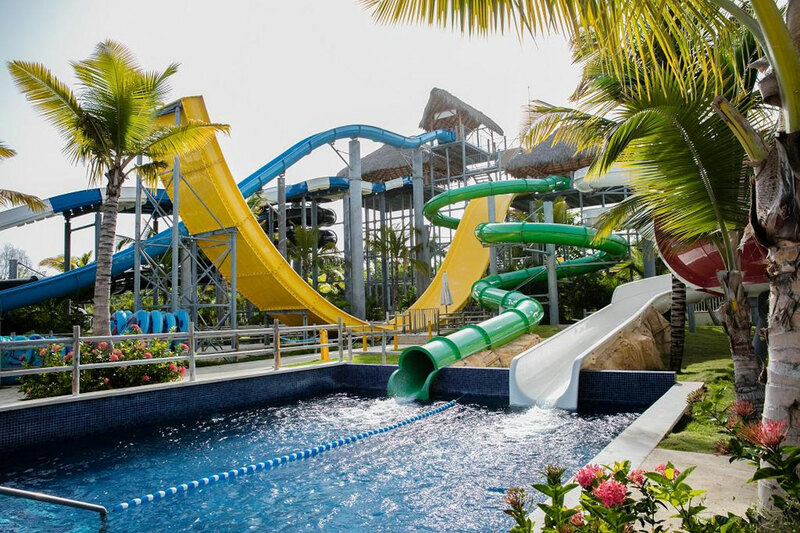 In fact, this resort has the largest water park in all of the Caribbean! And there’s even a pint-sized waterslide for your youngest adventurers. 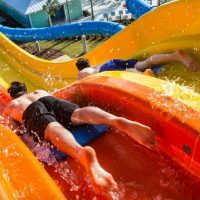 So if you’re prepared to have your kids spend the bulk of their waking hours riding the slides and splashing away, don’t think twice about staying at this affordable all-inclusive resort. The Royalton Punta Cana shares a water park with guests of the soon-to-be Grand Memories Splash, so you can expect all the same great perks. 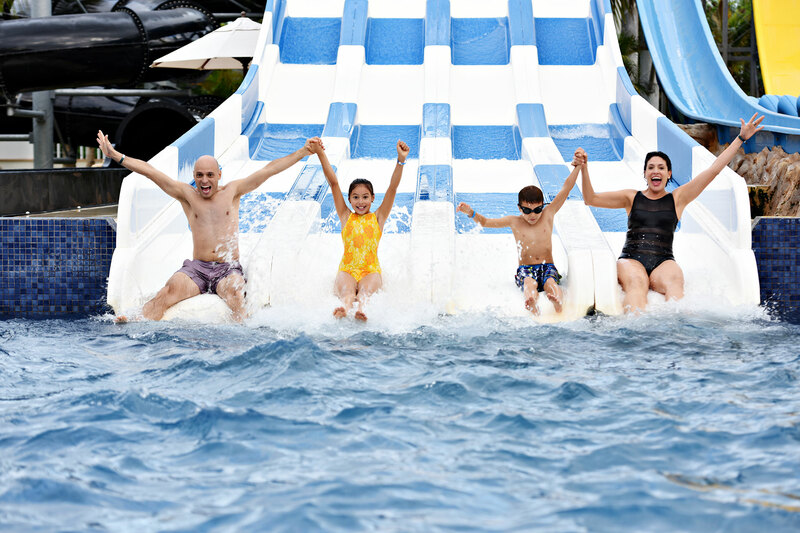 Waterslides with names like Kamikaze, Black Hole and Monster dole out the thrills to guests all day long. And there’s even a four-lane waterslide, where you can race each other at speeds of nearly 45 feet per second! For younger kids from age 6 and up, the Mini Slide Water Park has gentler turns and drops. Water park admission is included for resort guests. The Occidental Caribe is one of the largest resorts in all of Punta Cana and attracts families in droves with its huge lagoon pool and excellent water park for kids. Twisting slides, bumpy slides, baby slides — they are all here! There are also lots of tropical-themed water features, cascading stepped waterfalls, and more.